You are at:Home»BUZZ»MagSafe for PCs coming soon via Kickstarter! MagSafe is finally coming to PC! MagSafe as you remember is the magnetically attached power connectors previously used by Apple to enable quick and safe charging. MagSafe has saved my old MacBook Pro at least a dozen times from taking a dive off the table. Pretty soon, you can get something similar for all the PC users out there – here comes Magtop! How does it work? 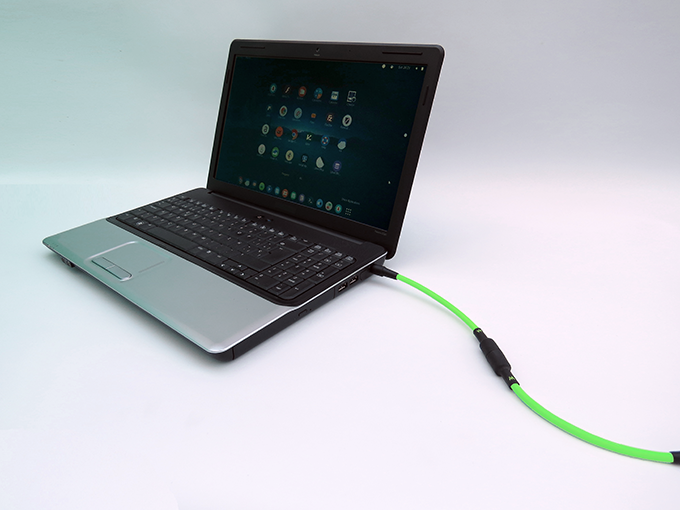 Simple, you attached one part of the cable to your original charger and the other part of the cable to your laptop. Then you can charge your device by putting the magnetic parts together – it snaps on easily and separates easily as well. How much does it cost? For the next 2 days, you can order this gadget for 10 Euros (roughly $11). After that, the price does up to 14 Euros (roughly $15). This is expected to ship in July. Is it compatible with my PC? Yes – so far PCs from Dell, Lenovo, Acer, Samsung, HP, ASUS, Panasonic, Fujitsu and more are compatible. If you’ve been looking for MagSafe feature on your PC – this is a great deal. We can’t wait to get our review unit!